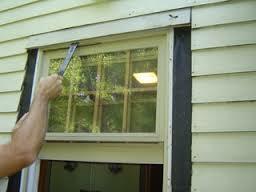 For additional home improvement tips visit this DIY home remodeling and home additions website. It has over 2100 pages of helpful home improvement tips on building home additions and custom homes. It also provides help on how to estimate home addition costs and what you can expect to save by taking on some of the construction work yourself. In addition, to home building advice, HomeAdditionPlus.com also offers a plethora of information on DIY home improvement and home maintenance projects, and includes both written and video "how-to" instructions. You'll find over 240 how-to videos that home improvement expert Mark Donovan has filmed over the years. You can also purchase from the website home building and planning guides and how-to eBooks on everything from installing windows to building mortar shower pans for a custom tile shower. So if you need home improvement help make sure to visit this excellent home building and DIY home improvement website.